Prince, Schmidt, Korte & Baca has been serving Northern New Mexico, as well as other areas, since 1954. 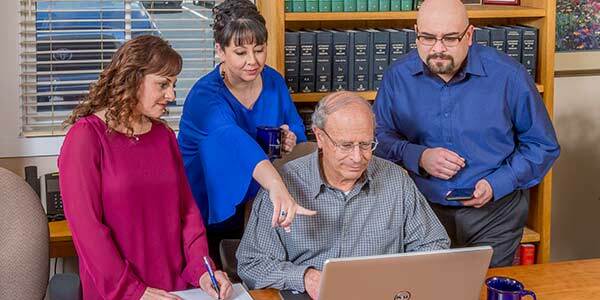 Our seasoned team of attorneys represents decades of legal experience in multiple practice areas, empowering us to be able to successfully represent your case. In addition, our legal assistants have insurance industry experience from the inside and know the details about how insurance firms operate. The Prince firm has been dedicated to working hard for the people of New Mexico for over sixty years. We live and work here. We take pride in what we do and we value our clients. We are a local legal firm specializing in personal injury serving our fellow New Mexicans. We all know how expensive lawyers can be. You can breathe easy because you will not be billed for any services rendered until and only if we obtain a recovery on your behalf! Prince, Schmidt, Korte & Baca has formed deep roots in the New Mexico community over the years. A base of steady referrals combined with our expertise and commitment to our clients enables us to provide individualized care and attention to every single person who walks in the door, whether their case is large or small.